The popular Arrowhead houseplant (Syngonium podophyllum) is really a vine that starts off as clusters of upright stems with arrow-shaped leaves. It is also known as the arrowhead vine and the American Evergreen. The plants resemble the heartleaf philodendron with leaves that are solid green or variegated with white, yellow, pink or silver veins. It is very attractive as a potted plant; however, as the plant matures, it gradually develops long trailing stems and the leaves become larger with three to five lobes. When this happens, you either must plant it in a hanging planter or use some type of support such as a stake or a moss pole for it to grow up on. If you would rather have your plant remain small and bushy, keep it pot bound and simply pinch out the growing tips to make the plant branch out from the sides. This plant, which is a member of the family Araceae, comes from the tropical rain forest of Central America and would feel right at home in a greenhouse or a sunroom. You will often find these plants in nurseries and garden centers labeled as "Nephthytis afzelii" because of its large sagittate leaves. With just a little attention and good lighting, this easy care plant will thrive and produce fast growth indoors. Light: When it comes to leaf color, light is the determining factor. Provide the variegated leaves bright, filtered light and average light for solid green varieties; however, keep them away from direct sunlight, as this will cause the plant to burn or fade. Humidity: Being from the rain forest, the plant likes humid air but it will easily adapt to normal house humidity levels. 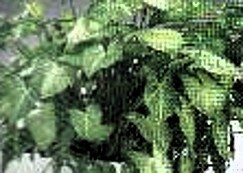 Occasional misting with tepid water will be good for the plant. Water: Water thoroughly and drain off excess then allow the top of the soil to dry out before watering again. The soil should be kept lightly damp. If the plant droops, water it to perk it back up. Soil: Plant in a soilless mix or a rich organic soil that drains well. An African Violet mix is an excellent choice. Temperature: Average household temperature (ranging between 60-75 degrees) but avoid drafts. Fertilizer: Use A good all purpose fertilizer . Propagating: Propagated through stem cuttings, (which can be rooted easily in water), division, and air layering. Repot: Repot every two years during the spring, as the plant likes compacted roots. The Arrowhead Houseplant will display well on the floor, on a table, hanging basket, or in a shady corner. TIP: Plant is toxic; keep away from children and pets. Always wear gloves when working with the arrowhead plant, as its sap can cause skin irritation to sensitive individuals. 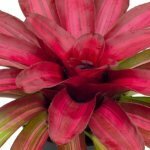 Neoregelia Fireball is an extremely popular bromeliad plant known for turning deep red when exposed to strong light. 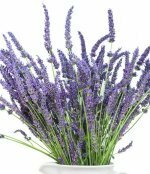 Grow a Lavender plant (Lavendula angustifolia) indoors and add charm and serenity to your bedroom as it is both pleasing to the eye and the nose. Sweetheart Hoya, also known as the valentine hoya, is often referred to as Wax Plants because of the waxy nature of their heart shaped leaves and flowers.